LG officially launched its mid-range Android phones, Optimus L3 II and Optimus L7 II in India. Both phones are runs on Android 4.12 Jelly Bean operating system and Dual Sim support devices. Here are the quick specifications of both phones below. 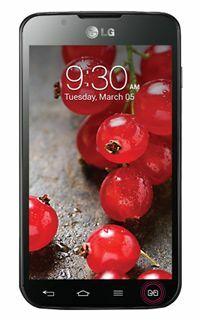 LG Optimus L3 II is a budget Android phone that comes with 3.2 inch capacitive IPS display with 320x240 pixels resolution. It is powered by 1 GHz processor and 512 MB RAM. It has 4 GB internal memory and expandable up to 32 GB with external card. It has 1540 mAh battery, 3G, Wifi, Bluetooth and AGPS. 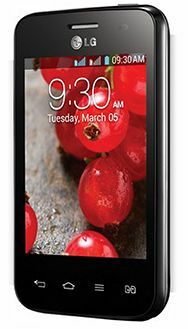 Optimus L7 II comes with 4.3 inch capacitive IPS display with 800x480 pixels resolution and it powered by 1 GHZ dual core Snapdragon processor. It has 2460 mAh battery, 8 Megapixel camera, VGA front camera, 4 GB internal memory, 768 MB RAM, 3G, Wi-Fi, Bluetooth and AGPS. Optimus L3 and Optimus L7 are now available on popular online stores. Optimus L3 II is priced for Rs. 7899 and optimus L7 II is priced for Rs. 14990 at Flipkart online store. You can check and purchase via below links.